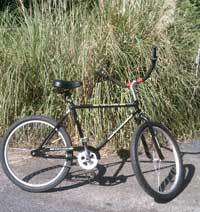 Unfortunately, bicycle theft on Hilton Head is a serious problem. Most stolen bikes were left unlocked, which is an invitation to theft. Who steals bikes, you might ask? Well, it’s kids, people who don’t have transportation of their own, thieves who take them off island and sell them at flea markets and such, and even vacationers who walked to a certain place, saw an unlocked bike, and decided to take it to get back home. The prudent thing to do is to lock your bike any time it is not in your sight. We charge our customers the replacement cost ($200.00) if the bike is stolen as a result of being left unlocked. Don’t ruin your vacation as a result of being guilty of this. We supply locks at no charge, so please use them.